I’ve always had a thing for serving trays. I’ve collected a lot of them over the years and have used them on many occasions. When I saw this one in a free box at a yard sale I knew instantly what I was going to do with it. I wanted a chalkboard message board for my recently reorganized office/craft space (more on that in future post). 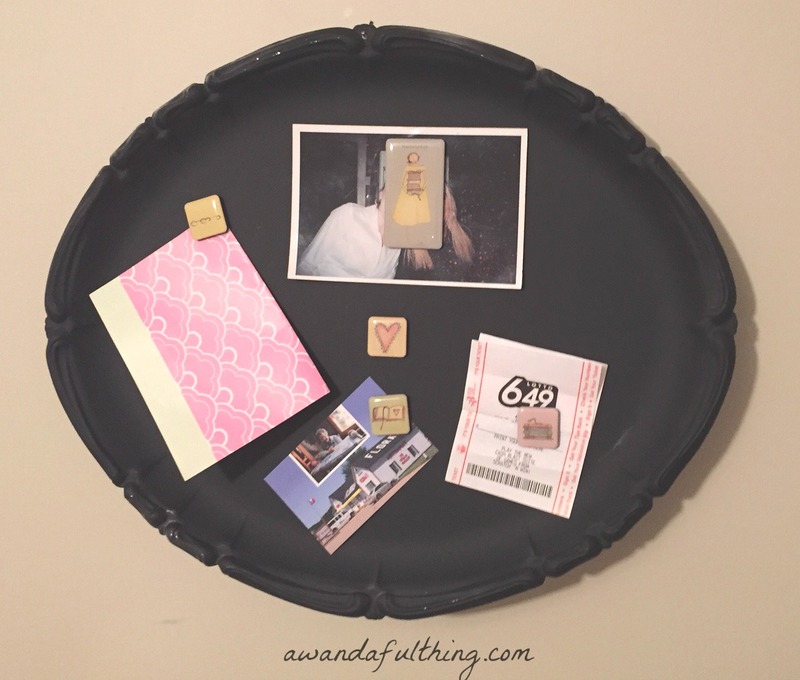 Trays like these can be found at almost every thrift store so this type of project is very inexpensive to produce. I opted not to tape off the inside but to paint it all black. I wanted it to look like it was old and a bit worn. I sprayed it lighter on the edges so a bit of the silver color still shows through. 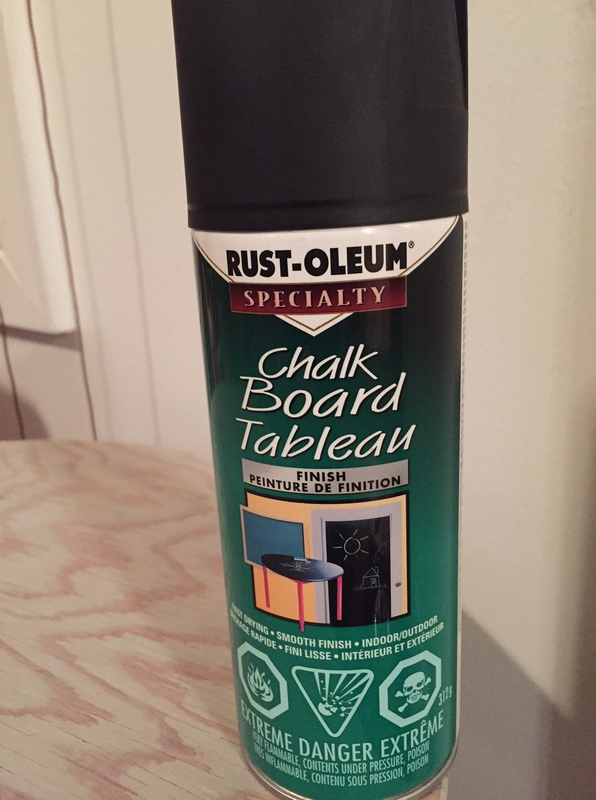 I purchased this chalkboard spray paint at my local Home Hardware and followed the manufacturer’s instructions. I only needed to do two coats. The hubs was nice enough to drill a hole in the top so I could hang it on my office wall. 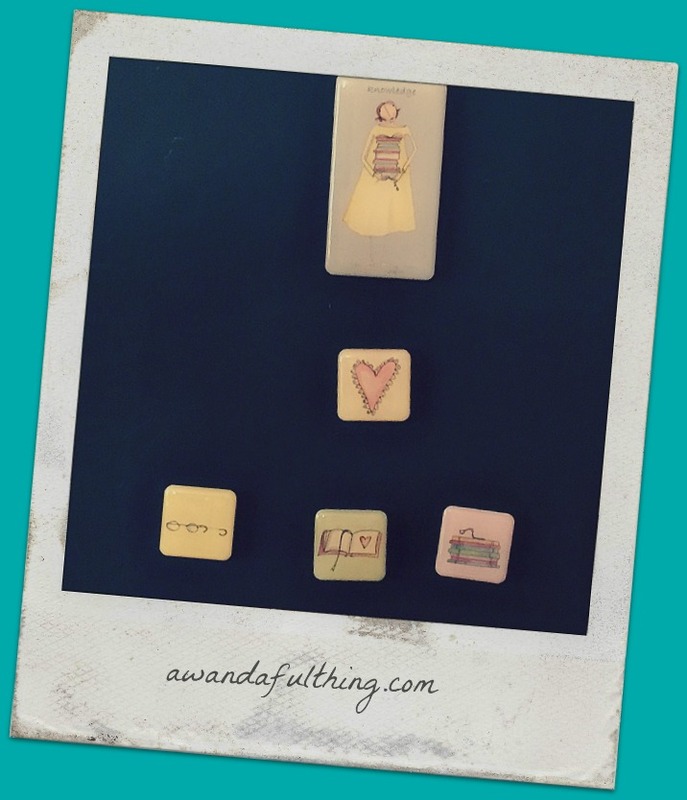 Chalk it up to good luck, I had this cute little set of magnets sitting in my desk drawer waiting to be used. At the moment it is being used as a memo board but as soon as I can find some chalk it will be able to serve double duty. 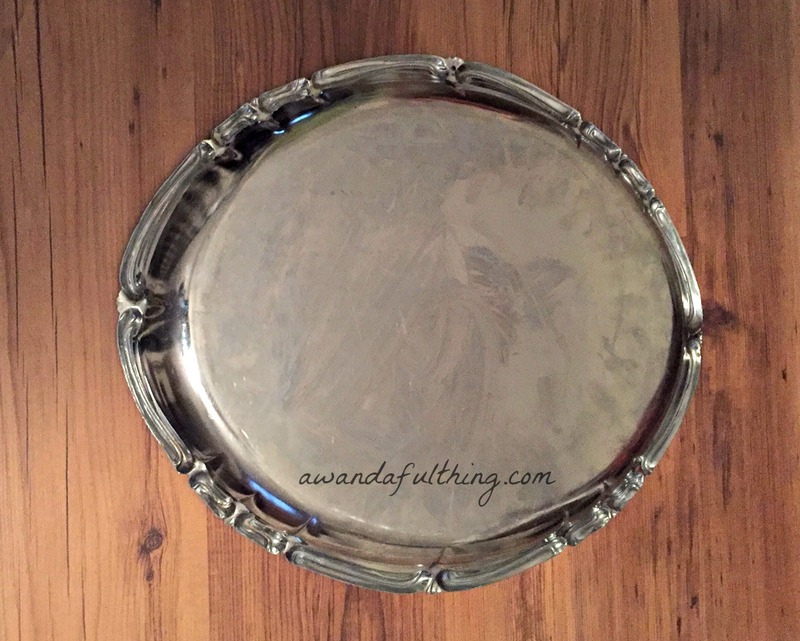 From a free old metal tray to a chalkboard message centre – that’s definitely A Wandaful Thing! 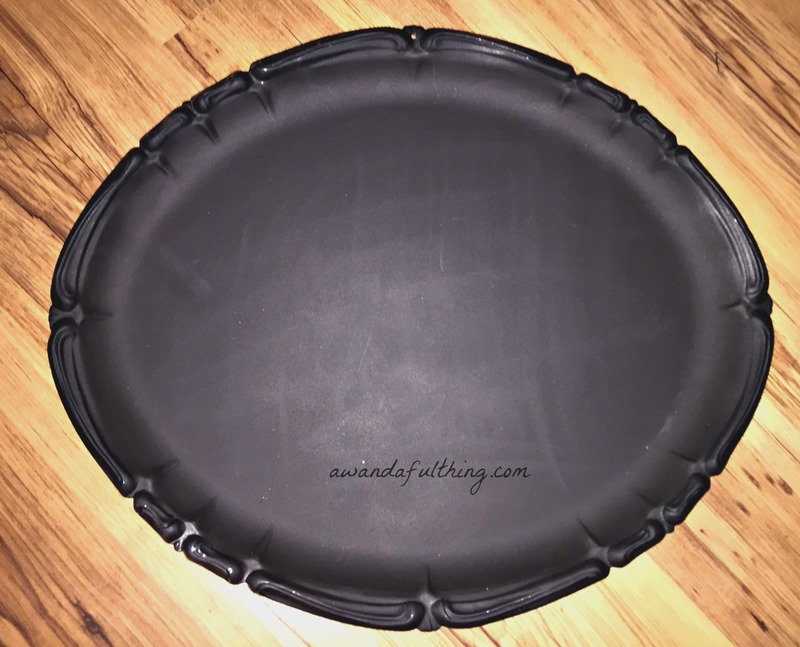 This entry was posted in DIY, Make and tagged chalk, chalkboard, challenge, cheap, Crafts, Decorate, DIY, easy, ideas, inexpensive, office, repurpose, reuse, simple. Bookmark the permalink.